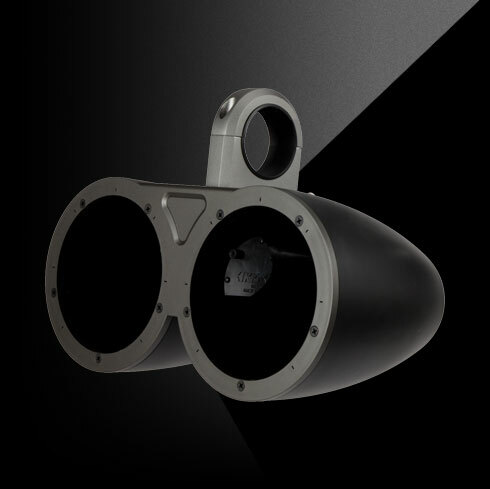 Mounting powerful 6½-inch KICKER speakers for external listening in marine and powersport applications just got easier with KICKER's durable and weather-proof KM-Series Tower-Speaker Empty Enclosures. 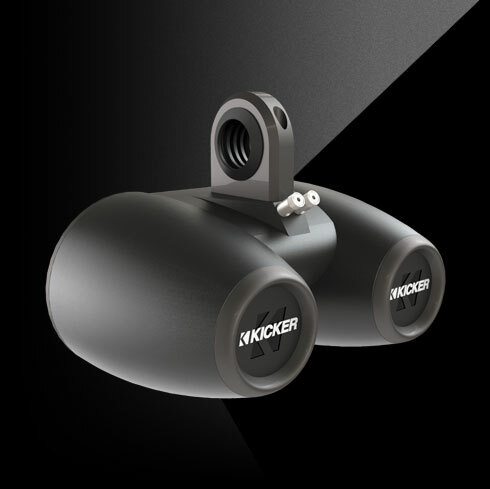 With its bold cosmetics, the black-textured KM enclosures with contrasting accent details complement KICKER's 6.5-inch coaxial marine speakers. 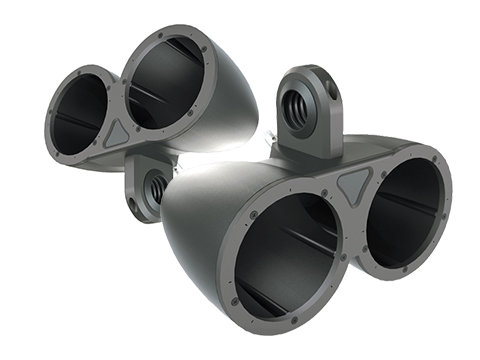 The enclosures were designed with a nine-degree axis rotation in either direction, allowing the speaker cans to be aimed in the most desirable location to deliver maximum sound quality. 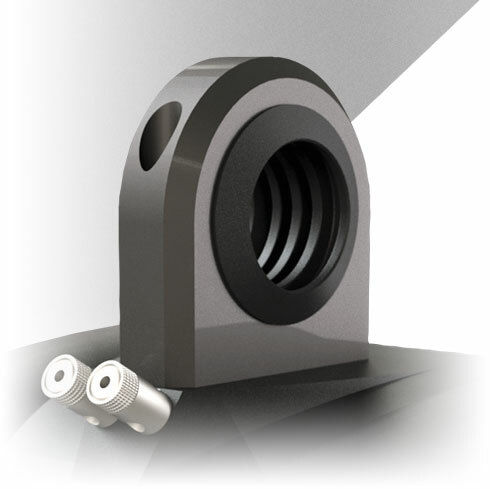 Includes polyfill, mounting hardware, aluminum tower-pipe clamps (2-5/8-inch), and three sizes of mounting adapters for the most popular pipe diameters (2-1/4, 2-3/8, 2-1/2). 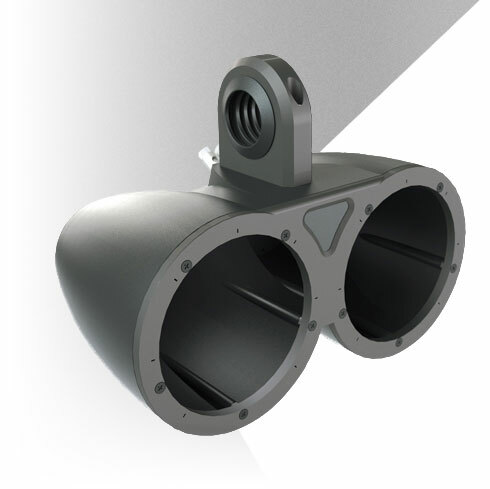 KICKER also offers the KMTAP Tower Enclosure Adapter Pack (sold separately) for fitting several other pipe sizes. Billet-aluminum brackets and clamp inserts adjust to seven common sizes, matching most every wake tower or roll-bar diameter.